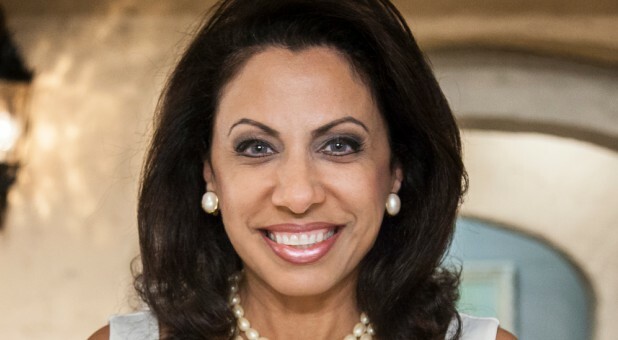 Brigitte Gabriel warns that as pastors prepare for Easter Sunday, those in the West have turned a blind eye to what their persecuted brothers and sisters will face in just a few days. "Right now, Christians all over the world in Islamic countries are gearing up for bombings next Sunday, on Easter Sunday," Gabriel tells Charisma News. "This is something we don't have to worry about in America. 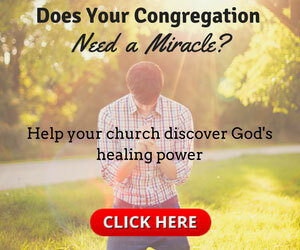 Our pastors, down the street or around the corner or across the country, whether from the East Coast or the West Coast, as they prepare for their sermons for Easter Sunday, they are not making security preparation about police barriers in the front to the stop the suicide bomber from coming in and blowing up the church as we pray." Gabriel founded ACT for America, the largest grass-roots national security organization in the United States. Gabriel was born in Lebanon and was forced to flee after terrorists rapidly took over the country and essentially gave her a death sentence. For seven years, she was forced to live in an 8-by-10-foot bomb shelter underground after Islamists shelled her home and nearly killed her. Now, she's a leading expert on terrorism and the growing threat of radical Islam, which is rapidly encroaching on the United States. Though Christians here still have the ability to flourish, the body of Christ worldwide is not as blessed. But instead of paying attention to the increased persecution, most American pastors live in a happy bubble, focusing on their sermon come Easter and nothing else. "Not one pastor in America right now is making those arrangements [to protect their congregants from attacks]," Gabriel says. "They're working on the message. And that message needs to be why we need to rise to protect our country, watching what's happening in Europe. Churches in Europe are being concerned. I cancelled my trip to France last year, because a pastor on a Sunday morning, a priest, conducting a service, was beheaded by a man walking into the church, walking up on stage, and beheading the priest on the altar. Is this what we want in America? That's why the church must rise up." Gabriel is the author of the upcoming book Rise: In Defense of Judeo-Christian Values and Freedom. ACT will host a conference by the same name later this year to equip churches to fight terrorism in the United States. Though the left preaches tolerance, Gabriel says there are multiple cases in the United States where men and women are living under Sharia law, and American courts have paved the way for the Sharia law to remain in effect. To fight this injustice, Gabriel says ACT's Rise conference will give families the resources they need to do more than sit back and pray. "Your children, along with you, will be able to hear from elected officials. We have at least now, as of now, 10 members of Congress signed up to speak at our national conference. They're going to be hearing from subject-matter experts," Gabriel says. "They're going to be hearing training sessions where they want to be trained. They're going to meet and see other students and other young people, and adults will be able to meet other chapter presidents and other adult activists from around the nation. We want people to join us, and right now we have an early-bird special running all the way through April, so we want people to sign up, join us, make it a vacation with a purpose. "There is life-driven purpose. Make it a vacation with a purpose. Put it on your calendar. Join ACT for America at the national conference. And again, we named the organization ACT for America, not Think About America, Wish for America, Hope for America, Pray for America, but Act for America. Because if you don't take action, nothing happens."